Leadership is a quality of influencing people, so that the objectives are attained willingly and enthusiastically. It is not exactly same as management, as leadership is one of the major element of management. Management is a discipline of managing things in the best possible manner. It is the art or skill of getting the work done through and with others. It can be found in all the fields, like education, hospitality, sports, offices etc. One of the major difference between leadership and management, is management is for formal and organized group of people only, whereas leadership is for both formal and informal groups. To further comprehend the two concepts, take a read of the given article. Meaning Leadership is a skill of leading others by examples. Management is an art of systematically organizing and coordinating things in an efficient way. Perspective Leadership requires good foresightedness. Management has a short range perspective. 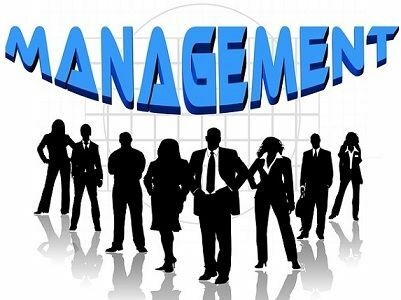 The word management is a combination of four terms, i.e. man+age+men+t (technique). 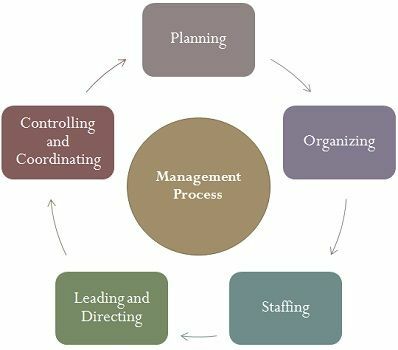 In this way, management refers to a technique used by a man for dealing and managing persons (men) of different age group, to work together for achieving a common objective. Although management is not confined to men only, it incorporates a complete balance of 5M i.e. Men, Money, Material, Machine, and Methods. The person who is in charge of the activities of management in an organisation is known as Manager. Now, let’s discuss what management is? And from where it starts? The answer is management starts from your home. All of us have seen our mother taking care of our needs whether they are small or big, maintaining the budget of the household, takes decisions regarding investment or finance, makes plans for our future, keeps a check on our activity, organizes the schedule, guides and motivates us for achieving our career objective etc. that’s all management. These are the functions of Management, i.e. Planning, Controlling, Organizing, Leading & Motivating and Decision Making. Leadership is a virtue of leading people through encouraging them. Management is a process of managing the activities of the organisation. Leadership requires trust of followers on his leader. Unlike Management, which needs control of manager over its subordinates. Leadership is a skill of influencing others while Management is the quality of the ruling. Leadership demands foresightedness of leader, but Management has a short range vision. In leadership, principles and guidelines are established, whereas, in the case of management, policies and procedures are implemented. Leadership is Proactive. Conversely, management is reactive in nature. Leadership brings change. On the other hand, Management brings stability. Leadership and Management are inseparable in nature, if there is management, there is leadership. In fact, the qualities of a manager require leadership skills to inspire his subordinate. In an organisation, you can see both management and leadership. There is a manager in a department and a number of leaders who work with their teams in assisting the organisation in the accomplishment of their goals. Many times managers play the role of a leader too, at the demand of the organisation. So they both go side by side as a complement to each other. An organisation needs both for its growth and survival. Management is all about the arrangement and maintenance of the 5M while leadership is about persuading people in a positive direction for digging out talent in them.